Be completing, or have completed, the Advanced Level General Certificate of Education (A-levels); an International Baccalaureate (IB); a recognised Australian matriculation program such as AusMAT or South Australian Matriculation (SAM), or the NUS High School Diploma. Be able to demonstrate a strong academic record and an enthusiasm for research. 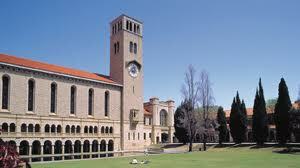 Students should apply for entry to the Bachelor of Science at UWA either through the International Centre or their agent. To apply for the scholarship, submit an online application of not more than 500 words outlining your interest in studying science and your enthusiasm for science research. Also outline any awards and extracurricular activies such as participation in voluntary, community and/or sporting activities. Applicants’ academic records will be automatically assessed as part of this process. Scholarship applications for students commencing in Semester 2 2013 close on 30 May 2013, and for those commencing in Semester 1 2014 on 30 November 2013. Demikianlah informasi mengenai Scholarships for Students from Singapore, Malaysia & Indonesia – University of Western Australia semoga berguna bagi anda.